Researchers from the University’s Department of Public Health and Policy and Global LPG Partnership have received £2 million funding from the National Institute for Health Research (NIHR) to develop a new NIHR Global Health Research Group – CLean Energy Access for the prevention of Non-communicable disease through clean Air in Africa: CLEAN-Air(Africa). The Group will conduct a three year research and capacity building programme involving high quality translational research supporting sustained and equitable transition to clean household energy at scale in Cameroon, Kenya and Ghana and demonstrate the health impacts of this transition (through reductions in non-communicable disease, health inequalities and climate). More than three billion people worldwide still rely on traditional solid fuel and kerosene, burned in inefficient stoves, to meet their everyday household energy needs. The resulting household air pollution (HAP) is the single largest environmental cause of global disease burden, responsible for 4.3 million premature deaths annually, of which 3.8 million are caused by non-communicable disease (NCD). HAP also results in over 100 million lost healthy life years (DALYs) in lower-and-middle income countries (LMICs) from respiratory, cardiovascular diseases and cancer, as well as serious injuries from scalds, burns and (kerosene) poisoning. 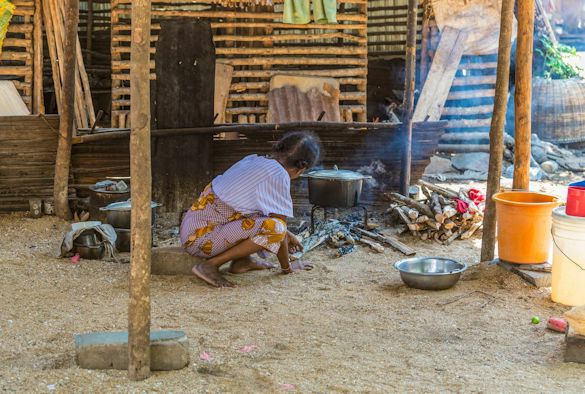 Burning of solid fuels also contributes to climate change, deforestation and the poverty cycle disproportionately affecting women and children. Previous research led by Dr Daniel Pope and colleagues from the Energy, Air Pollution and Health theme has been instrumental in highlighting the global importance of moving from solid fuel cooking technologies to clean fuels such as liquefied petroleum gas (LPG) to impact on the Global Burden of Disease (GBD) from HAP (including developing WHO Guideline Recommendations for indoor air). Dr Pope, said: “Research is now needed to identify and overcome the challenges of achieving large-scale, equitable and sustained transition to clean fuels and to demonstrate the achievable impacts on health, household finances and the environment, to inform national policies”. 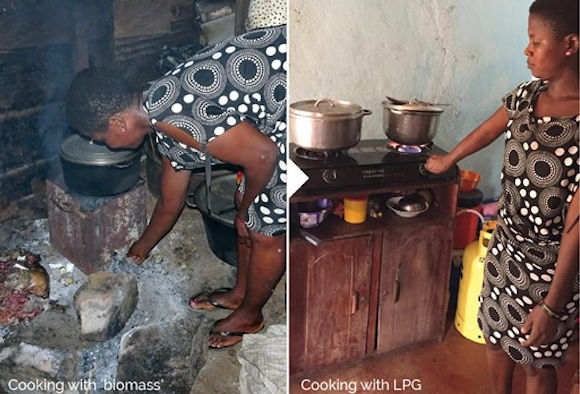 The CLEAN-AIR (Africa) Research Group will address this research gap by working directly with Cameroon, Ghana and Kenya government ministries who have recently made ambitious commitments to scale-up household access to LPG by a significant proportion of the population. The Group will benefit from enhanced UK expertise and will engage with the health sector, research and academic partners in each focus country. To achieve this the Group will; inform strategies to support more equitable uptake of clean fuel across the population; estimate the impacts of scaled LPG adoption in line with governmental targets on health and climate; develop capacity through health systems strengthening in the partner countries; facilitate engagement between the general public and policymakers as research is undertaken alongside national policy implementation. For more information about the NIHR CLEAN-Air (Africa) Global Health Research Group please contact Daniel Pope (danpope@liverpool.ac.uk; 0151 794 5522).